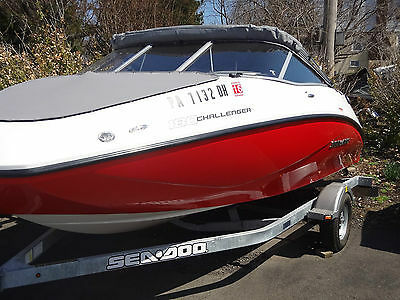 2012 Sea Doo Challenger 180 SE 2012, 21' Sea Doo Challenger 180 SE Jet Boat with 31 Hours. Bimini Top, Stereo, BRP 225 HP 4 Stroke Engine, Karavan Galvanized Single Axle Drive-On Trailer with Lights and Swing Away Tongue. Very Clean Boat! 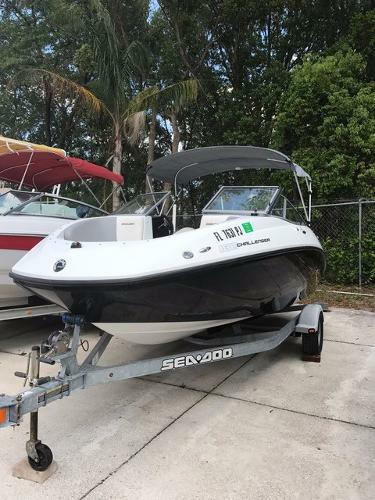 2008 Sea Doo Challenger 180Se 215HP ROTAX--Be ready for the next boating season! 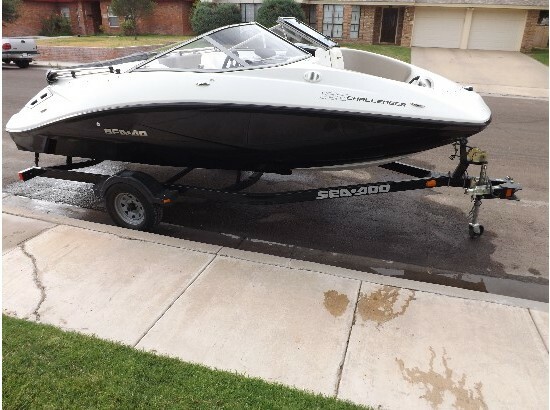 Offered is a Great-CLEAN- 2008 Sea Doo Challenger 180 Se. We have lovingly cared and maintained this boat. 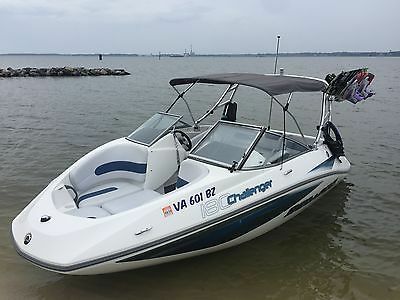 It is the perfect family boat- rated for 8 people! 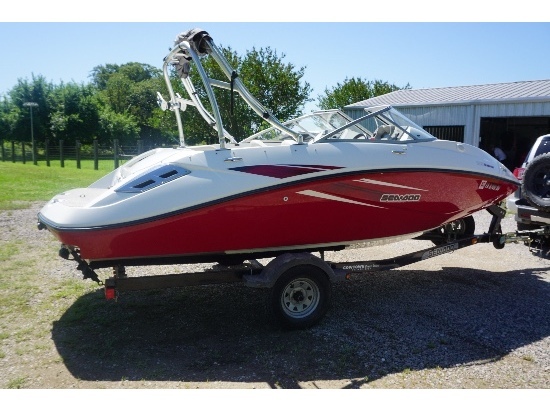 Great for skiing, tubing, fishing... With a 215 hp ROTAX engine she reaches between 45-50mph on calm water. She was used in fresh and salt water- always washed and flushed after every use. 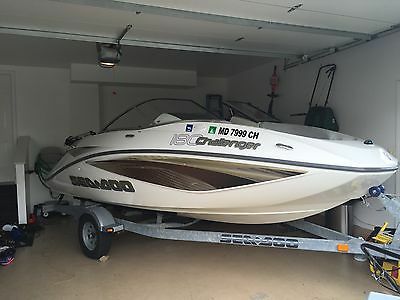 This boat is garage kept- The length allows it to fit in most garages! More Details of the boat... She has 166 total hours on her. The motor was rebuilt 8/2015 with 2 hours of use since rebuild- YES- we have the receipts to support it- over 4k! 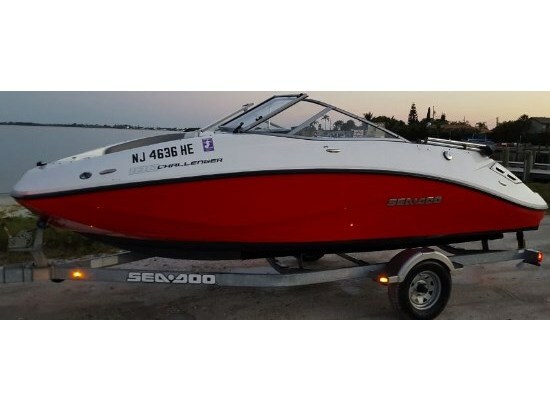 All work was done at a Sea Doo/BRP authorized dealer.The Supercharger was rebuilt 7/2015This year she also received a new jet pump with a new wear ring and a SOLAS impeller upgrade.The air filter was upgraded too! You can rest easy knowing that this engine is solid! The seats are in great shape with some minor wear- there is a minor tear on a one of the seats at the seam- smaller than a quarter, not very noticeable. Included with this boat is a newer (1year old) trailerable/storage cover. The battery was replaced last year. 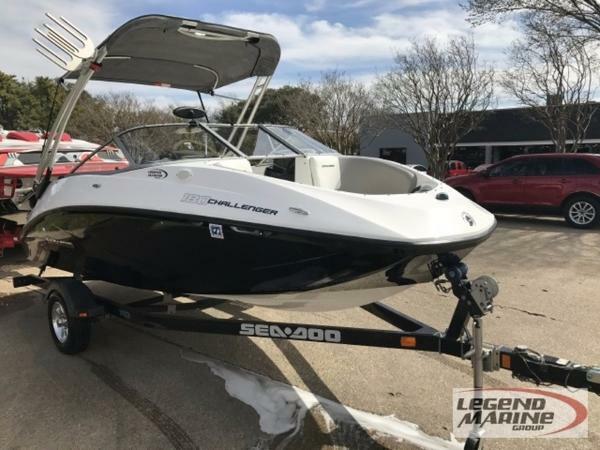 Aboard she has a bimini top and snap in carpet in perfect -like new- condition.This boat includes a matching Karavan Trailer with a folding tongue that allows for easier storage. This boat is easy to tow! All the lights on the trailer work and the tires are in good shape. 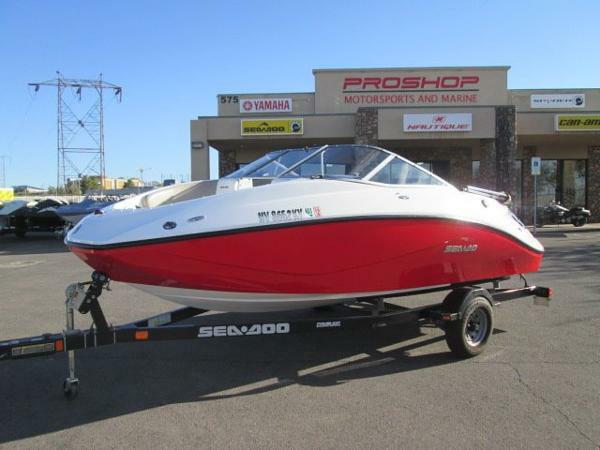 This is a fantastic all around family boat that is a packed with features like....A ski locker, a center filler cushion that makes the front one big sun pad, a Jensen radio with upgraded Infinity speakers with separate cockpit control, interior courtesy lights, fire extinguisher, anchor, an easy to board swim platform with stow away ladder, great additional storage under many of the seats, a rear storage compartment next to the engine and the original under seat cooler! All lights and displays work! I have tried to be as detailed as possible- this is a great boat. If you have any additional questions just let me know. SERIOUS BUYERS ONLY!